Red - Pink colors finally documented in an outfit. It is something about this combination that makes me come back to it, something strong- something sweet or just bittersweet colors. A very simple look that I wore for a short trip to Philadelphia last week. 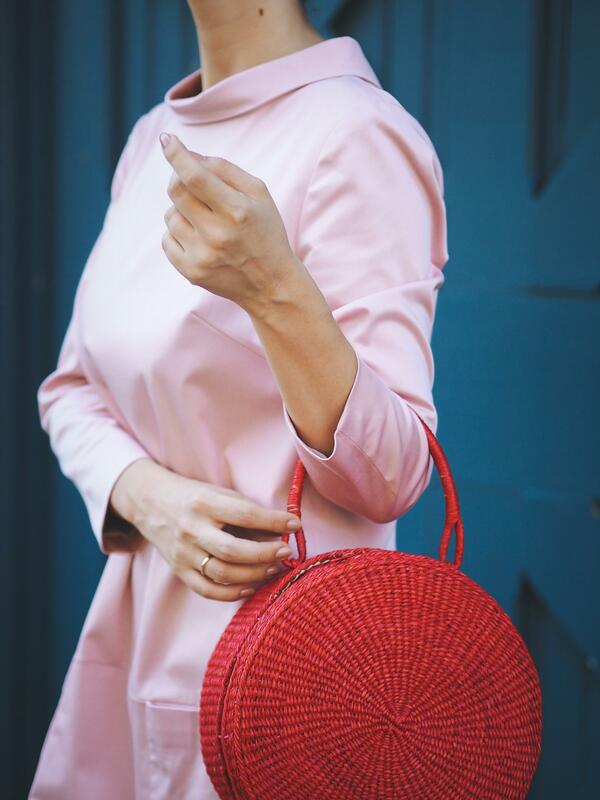 Oh, and this red straw bag is making its first appearance here on the blog. I call this dress “Jackie O” and I love wearing it every year. Have a wonderful weekend Natali! Oh, thank you for your kind words Jen! Gorgeous!! So elegant and chic! Thank you Kathleen! I really don’t know what pattern was used for this dress. Pioldress.com is the website that custom made this dress. A delicious colour combination! The simplicity of this look makes it so special.